Gerry Lane, an expert investigator of the United Nations, is forced to try to stop a ferocious viral infection that could mean the end of the world. The voracity of the epidemic and the speed with which the human race can be potentially destroyed throws Lane in a race against time (and against a legion of undead), traveling the world in search of answers on how to stop the infection. A vast mission has been entrusted to Lane: to save the lives of millions of strangers. 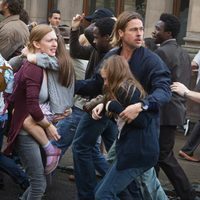 Starring Brad Pitt and directed by Marc Forster, 'World War Z' adapts the homonym novel by Max Brooks. 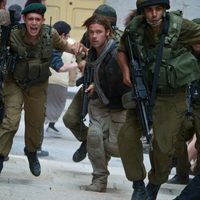 Write your own 'World War Z' review. Max Brooks publicly stated that he felt the film had very little in common with his book beyond the central storyline. 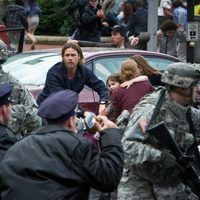 A storyline that was deleted featured Gerry's wife having an affair with the para jumper from the helicopter from the rescue scene earlier in the film. Ed Harris and Bryan Cranston were originally cast in the movie, but both dropped out due to scheduling conflicts.